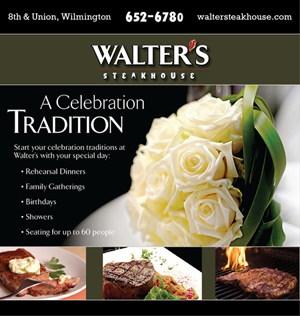 Walter’s offers several menu options to accommodate your needs. 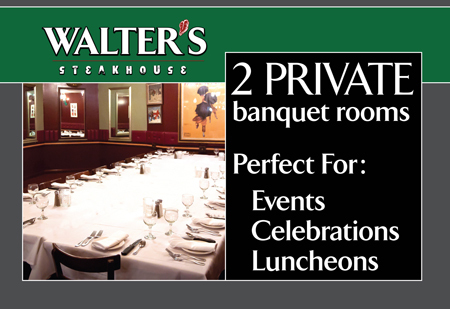 Walter’s also hosts business meetings with complimentary use of DVD, VCR, screen, podium, microphone, projector and other hardware needs. We welcome your suggestions and ideas and look forward to providing the best in food, service and atmosphere for your upcoming event.